Web Summit founder Paddy Cosgrave talking to RTÉ’s Philip Boucher Hayes and addressing media about his role in a campaign that anonymously targeted European Facebook users in 10 countries with advertisements about Ireland’s corporate tax system saying it was his ‘patriotic duty’. 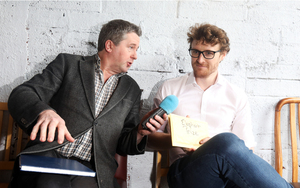 The bit from @drivetimerte where @paddycosgrave admits to Tax Avoidance himself. 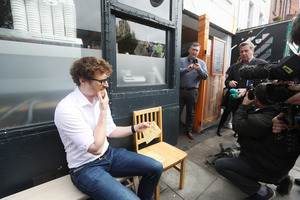 Posted in Misc and tagged Paddy Cosgrave, tax at 4:20 pm on April 17, 2019 by Bodger. 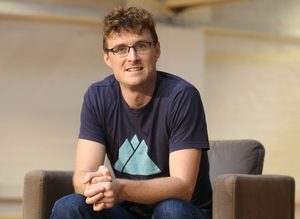 Co-founder of the Web Summit Paddy Cosgrave tweeted about Ireland’s tax structures which, he said, allow companies to “avoid all taxes” and “enjoy no-touch regulation”. 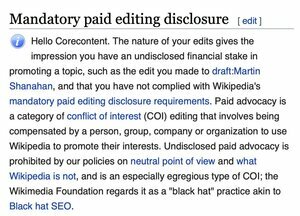 He went on to link to a Wikipedia article about the same before warning his followers that the Irish Government, through the IDA, pays people to edit tax-related articles on Wikipedia. 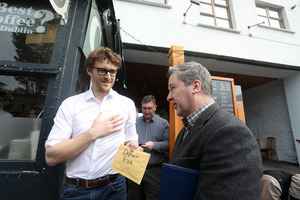 Posted in Misc and tagged Paddy Cosgrave, tax, Wikipedia at 10:46 am on April 5, 2019 by Bodger. If you want to pay less tax on your income every month, get married or have a child. Don’t give up your job and live with someone without getting married. While society has moved forward in so many ways over recent decades, our tax system still exerts a “fiscal preference” for families – particularly those where the parents are married. Posted in Misc and tagged single person, tax at 10:37 am on December 11, 2018 by Bodger. 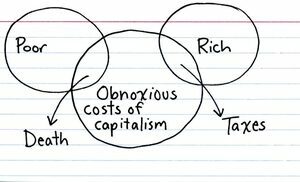 Posted in Comics and tagged death, tax at 11:45 am on April 19, 2018 by Niall Murphy. 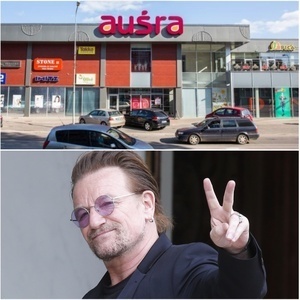 Bono has expressed horror that a Lithuanian shopping centre business he invested in may have fallen foul of the country’s tax rules. In a statement, the U2 frontman said he would be “extremely distressed if even as a passive minority investor … anything less than exemplary was done with my name anywhere near it”. He reacted after Lithuania’s tax authorities said they were preparing to examine the details of the business over concerns that it avoided profit tax. Posted in Misc and tagged Bono, tax at 11:17 am on November 7, 2017 by Bodger. Back in September, Minister for Finance Michael Noonan proposed a number of changes to Section 110 of the Taxes Consolidation Act 1997 which contains the provisions for Ireland’s securitisation regime. This was on the back of various concerns raised in the media that “investors” (foreign funds) were using the legislation to avoid paying tax on Irish property by using S110 Special Purpose Vehicles (“SPVs”) for their transactions. The Irish securitisation regime is very generous in that it permits certain companies to deduct interest payments on profit participating debt (i.e. loans where the interest rate is directly linked to the underlying profits of the SPV rather than a set rate). In effect, this means that these SPVS could wipe out all of their profits with interest deductions leaving only a very small taxable margin (usually €1,000). These SPVs were making tens of millions from Irish property, but effectively were only paying as little as €250 to Revenue. The aim of the amendments to the regime were to ringfence profits arising from a property business and ensure that a deduction was not available for profit participating interest. This would protect the Irish tax base by ensuring these SPVs would pay tax at 25% on all of its Irish property profits, rather than only on the token €1,000. A property business was originally defined as one which is involved in the holding or managing of “any financial asset which derives its value, or the greater part of its value directly or indirectly, from land in the State”. When interpreted this would include property loans and mortgages but also shares in a company which derive its value from Irish property (e.g a Limited company that holds property, also known as a “Propco”). What nobody noticed though was that in the time between the publishing of the original legislation in September to the publication of the Finance Bill in October a very deliberate change was made to narrow the definition of ‘specified mortgage’. Such a narrowing means this anti-avoidance legislation is now only confined to loans and specified agreements deriving their value from Irish land but not to shares in a Propco (more on why below). At the same time of this deliberate change, the Government included another, seemingly unrelated, measure to restore 100% interest deductibility for landlords of residential properties. This generous tax break encourages Propcos to be highly geared, to ensure their rental profits are significantly reduced by interest deductions. When you combine these two measures it means the ‘investors’ will warehouse their Irish properties into simple Propcos, rather than the complicated SPVs, QIAIFs or ICAVs that we’ve been reading about in the media. The investors will own the Propcos, via their existing S110 SPVs. They will fully leverage the Propco with related party debt, maximising the new 100% interest deductibility rules. 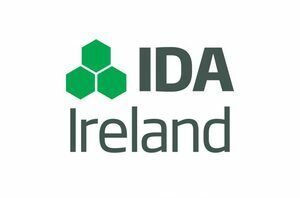 This will ensure that any income arising will be fully sheltered by tax deductions, thus a continuing ability to avoid tax on the Irish rental profit. In addition, the investor can avoid capital gains on a disposal of the property by simply selling the shares in the Propco rather than selling the property asset directly. The gain on the sale of the shares of the Propco will arise to the S110 SPV and because the definition of ‘specified mortgage’ does not include the sale of shares, the SPV can use profit participating interest to wipe out its gain on the sale. Posted in Misc and tagged Propcos, Rental Sector, Section 110, SPV, tax, Vulture funds at 10:09 am on November 24, 2016 by Broadsheet. 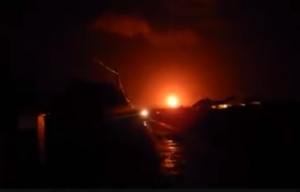 Shell E&P Ireland Ltd pleaded guilty to breaching two counts of the Environmental Agency Protection Act during “flaring” tests last New Year’s Eve. Yesterday, at Dublin District Court, Shell were fined €1,000 after pleading guilty to causing light and noise pollution from gas flaring at Bellanaboy refinery last New Years Eve. The prosecution was brought by the Environmental Protection Agency (EPA) following complaints from people living around the Bellanaboy refinery. The €1,000 fine is estimated to be 65 seconds worth of current Corrib sales revenue after Vermilion, who have an 18.5% stake in Corrib gas, recently stated that Bellanaboy had reached “full plant capacity“. It is estimated that Corrib Gas sales revenues have totalled over €240 million so far this year, while no tax has been paid. It is widely accepted that no or minimal tax will be paid by the developers of the Corrib Gas Project to the Irish State. Former Managing Director of the Corrib Gas project, Brian O’Cathain previously stated in 2010 “That Corrib will never pay tax“. While a Vermilion investor profile estimated it would be seven years before any tax is paid. Posted in Misc and tagged fine, flaring, shell, tax at 11:50 am on September 6, 2016 by Broadsheet. It goes on to make an absurd suggestion that Irish employees have no incentive to look for salary hikes or promotions due to “such high levels of personal tax“. It also puts forward the notion that “skills and talent are in scarce supply” but the last time I looked we had an unemployment rate of 9.7%. What is really galling though is that we give generous tax breaks for highly-paid executives of US multinationals or “globally mobile talent” as the ITI calls them. It finishes by asking the whether “it is really sustainable to continue to draw on a small group of taxpayers who already contribute such a sizeable chunk of the income tax yield? We must also ask if it would be better to have broader participation in our tax system?”. 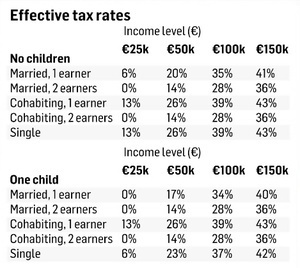 But the real question they are asking is whether the regular Irish taxpayer and those who earn the least in society are willing to INCREASE the amount of tax they pay in order that those at the top (the “talent”) who earn the most can benefit? 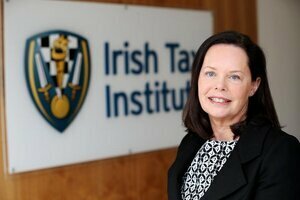 Posted in Misc and tagged Irish Tax Institute, tax at 4:15 pm on July 29, 2016 by Broadsheet. 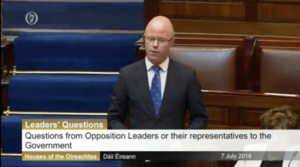 During Leaders’ Questions, Social Democrats TD Stephen Donnelly raised the case of a family – Sarah, Dominic and their two children – who are being evicted from their home in Kilkenny. 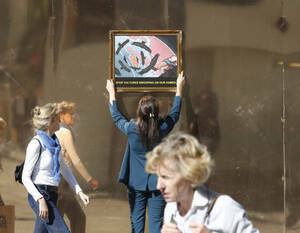 The eviction comes after the Government sold the family’s mortgage to US investment firm, Mars Capital. 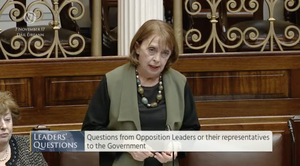 “It would appear that this Government is guilty of facilitating wholesale tax avoidance by international investment firms making windfall profits in Ireland off the backs of ordinary, decent people trying to pay their mortgages, like Sarah and Dominic. We do not know where Mars Capital is sending this money. They are called “notes”. We do not know where they are going, but what we do know is that Oaktree Capital, if one looks at the SEC filings, holds multiple investment firms in the Cayman Islands. 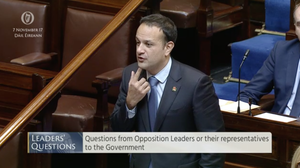 Posted in Misc and tagged hedge funds, mortgages, Sarah and Dominic, Stephen Donnelly, tax at 2:43 pm on July 7, 2016 by Broadsheet.